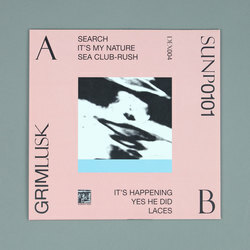 Grim Lusk - SUNLP0101. Vinyl EP. Bleep. Splitting his time between Scotland and Australia, Grim Lusk drops his latest release on Scottish imprint, Domestic Exile (home to Sue Zuki, Total Leatherette and The Modern Institute). Having studied percussion at the Tafi Cultural Institute in Ghana and graduating from various Green Door Studio programmes, ex-Whilst member Murray Collier releases a debut EP of solo work that seamlessly blends influences from a body of previous and disparate projects. The sample heavy ‘Search’ loops and dubs in a mesmerising manner. 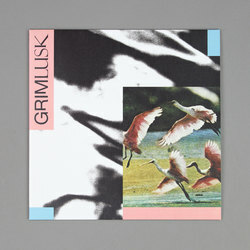 Not afraid to experiment and play around, Grim Lusk’s debut embraces the peripatetic nature of his musical career, presenting us with music as fun, alien and alluring as the natural world itself.